Trilby’d Pentagram partner Angus Hyland got proceedings moving early on Friday morning. 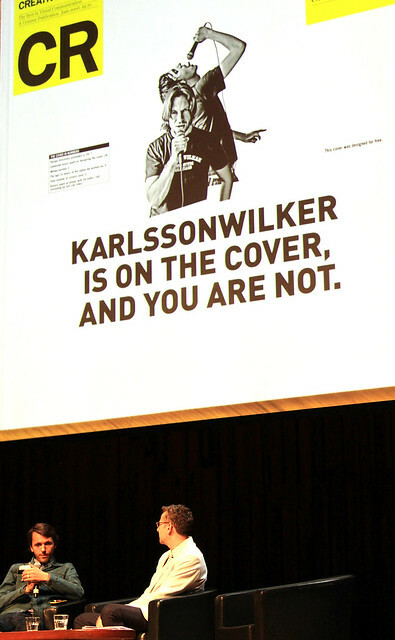 But it was earlier for Hjalti Karlsson (of KarlssonWilker), roused from his New York bed by studio partner Jan Wilker and Creative Review editor Patrick Burgoyne. Top: The words that Christoph Niemann dreads to hear. Burgoyne turned interviewer and game show host for Mr & Mr (a transatlantic Skype version of Derek Batey’s 1970s TV gameshow). Karlsson (think Aphex Twin meets Gondor guard in a dressing gown) had to answer three questions about Wilker (think young Alan Hansen in Baader Meinhof denim). Jan Wilker, Patrick Burgoyne and a sleepy Hjalti Karlsson. With tongue in cheek, Wilker confessed he would up and leave if Pentagram came calling. ‘Berlin though, not London. English studios all look the same,’ he said. Collaborative projects discussed included their disruptive cover for Creative Review; and temporarily setting up a studio in ‘Time Towers’ when working with Time magazine. The attempt was to build a better dialogue with their client and provide an interesting model for the way designers and clients can work together without despising each other. 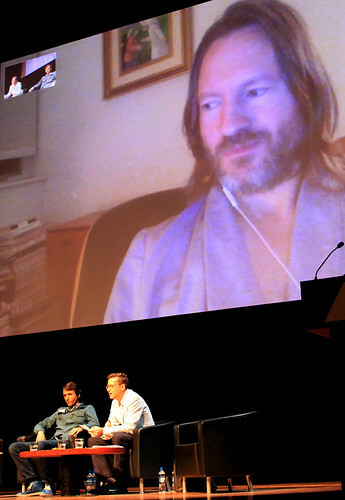 Creative Review cover on screen behind Jan Wilker and Patrick Burgoyne. The example of collaboration in action stemmed from the collective instinct and ‘graphic archeology’ of the Bibliotèque team, exemplified by the graphic design systems employed in their self-initiated exhibition ‘72: Otl Aicher and the Munich Olympiad’ and married with the design philosophy, furniture and connections of Vitsoe. 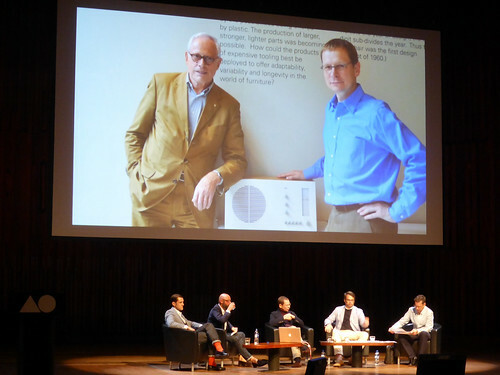 Dieter Rams and Mark Adams of Vitsoe on screen behind panel with Bibliotèque, Adams (centre) and Burgoyne (far right). 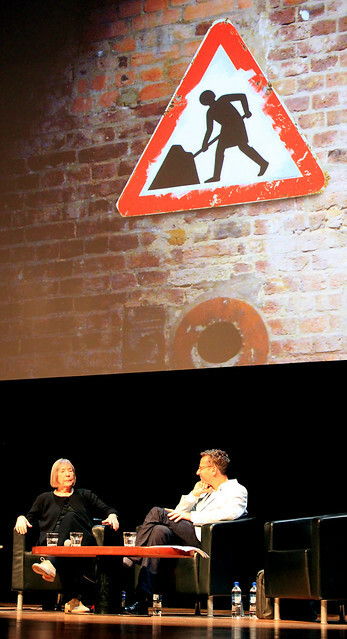 Margaret Calvert talks to Patrick Burgoyne. She talked through her ground-breaking work with Jock Kinneir and a more recently collaboration with Ben Terrett and his team on developing her typeface Transport (with Henrik Kubel) for the Government Digital Service. Calvert left the Barbican audience wanting more. 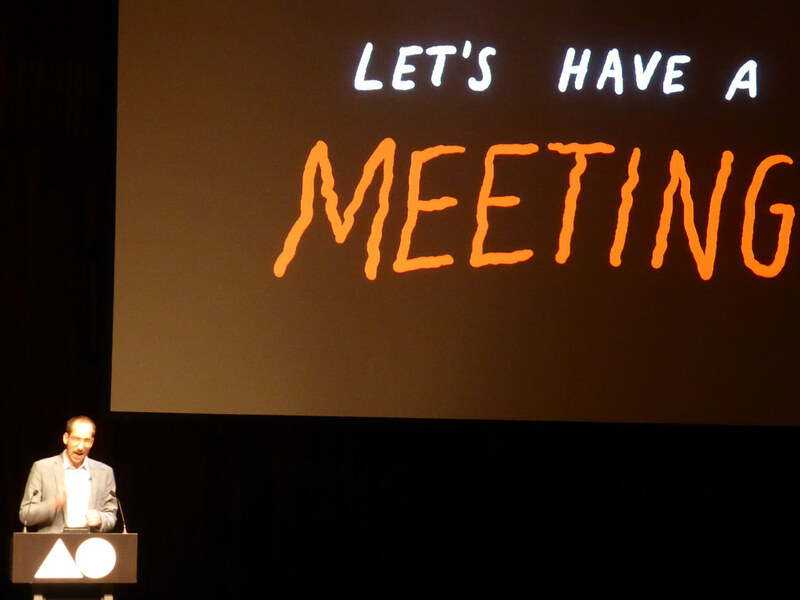 Illustrator, graphic designer and author Christoph Niemann took a different standpoint about collaboration by naming his talk ‘Uncollaborative’. He started with the caveat that he was going to talk about hating collaboration but would contradict himself and warned that nothing ever good came out of meetings, ‘You can smell ideas that came out of meeting from a mile away’. For Niemann silence is golden and that quiet time away from the chatter creates the space where ideas can grow. He conceded that collaboration with a good art director brings focus and has helped him create some of his best work for The New Yorker. Echoing Jan Wilker’s earlier comments, Niemann enjoys autonomy over his tools and production processes, demonstrated by the four months he spent last year teaching himself to code while building his application Petting Zoo (see ‘Told in pictures’ in Eye 85). 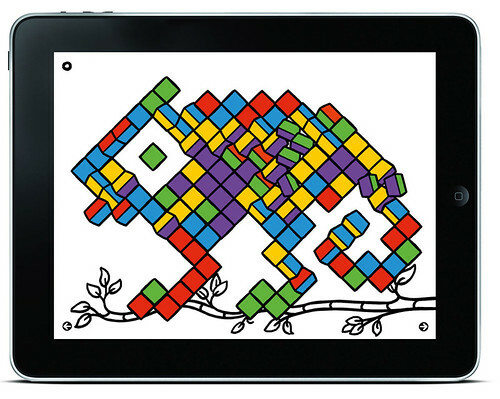 Screenshot from Christoph Niemann’s application Petting Zoo. Through this process he realised his limitations and it became a collaborative venture with Jon Huang, Markus Wormstorm and Design Indaba. The result is a successful collaboration that is both beautiful and ingenious. He conceded that collaboration can focus and has helped him create some of his best work. His animated blog post based on a radio interview with the late Maurice Sendak moved many of us to tears. Christoph Niemann’s ‘A Tribute to Maurice Sendak’ on Abstract Sunday, his blog for The New York Times Magazine. The interview is by Terry Gross from NPR’s ‘Fresh Air’. The morning concluded with a discussion on design publishing with Simon Esterson and John L. Walters of Eye and Design Museum director (and former Blueprint editor) Deyan Sudjic. This was followed by Ben Bos talking to Adrian Shaughnessy about the history of AGI. In the afternoon, Michael Beirut chaired a lively debate where questions were submitted by the audience. 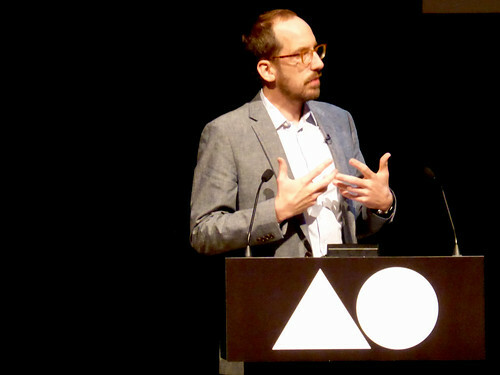 Topics ranged from good and bad clients to designer autonomy; the point of design education, digital design and the predominance of male speakers at the conference, as well as the lack of young designers represented by AGI. On the latter subject it was pointed out that, ‘other conferences have hot young stars, we don’t,’ due to the number of years of experience required to be a member. Bell called for a need for intelligent commissioning and clear art direction to help build trust. Ian Anderson interjected, ‘I wake up in a cold sweat about a client saying “I’ve had an idea!”.’ Michael Beirut concluded by asking whether you could do good work if you didn’t believe the clients message. 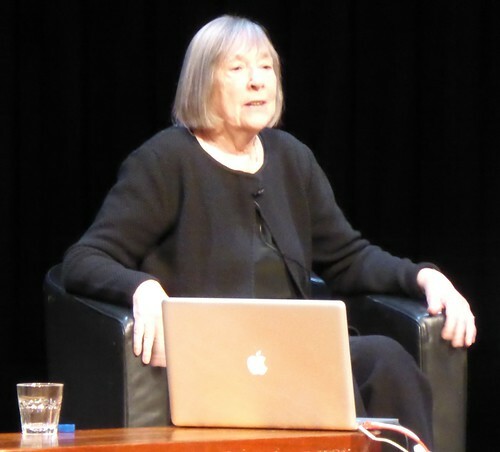 Marian Bantjes said, ‘It’s impossible to work with wording that repulses me, what the message is is key to me.’ Finally on the question of ‘drawing or reading?’ reading won hands down. ‘A Question of Design’ panel discussion. L to R: Marina Willer, Frith Kerr, Mike Dempsey, Nick Bell, Marian Bantjes and Michael Bierut (chair). The afternoon sessions were a series of talks on obsessions. 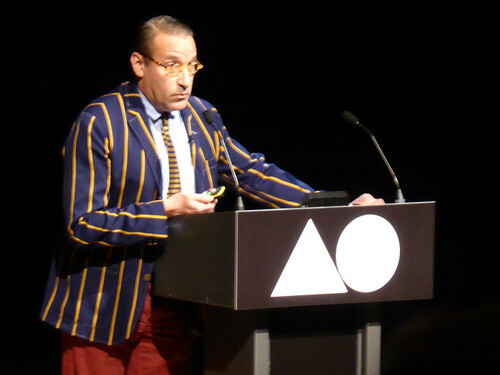 Chip Kidd was brilliantly entertaining, talking about his love affair with Batman (and Robin), and the Japanese version of the character. We learnt that ‘Japanese eBay is hard to navigate’ and that Lord Death Man is a formidable villain. Chip Kidd. Photograph by JLW. 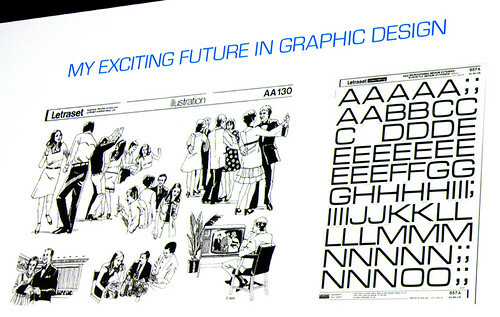 Andy Stevens, from Graphic Thought Facility got all nostalgic about Letraset, showing how it was used as a tool by architects and designers to envisage a (post)modern future (read ‘Rub-down revolution’ in Eye 86). 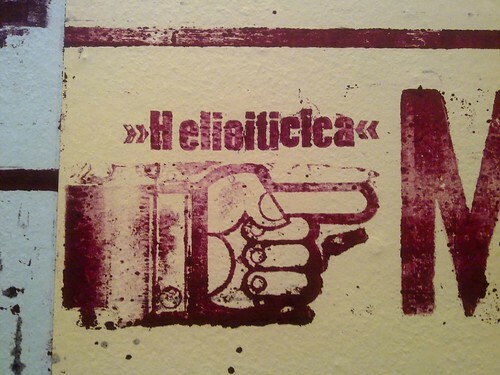 One of Andy Stevens’ Letraset slides. Tony Brook’s collection of printed graphic ephemera was not a passive obsession but demonstrated an ‘active, argumentative relationship with the material’. 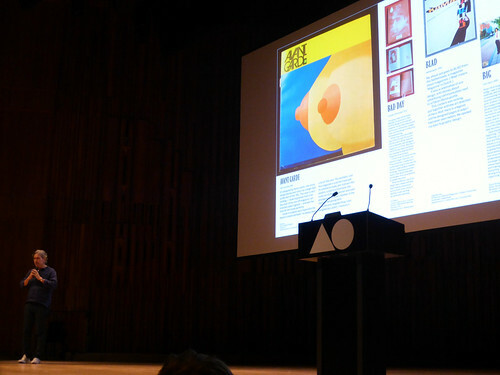 MagCulture’s Jeremy Leslie talked vividly about his love of magazine design and how it can reflect and lead graphic language, showing examples of the strength and depth of this sector in both print and digital. 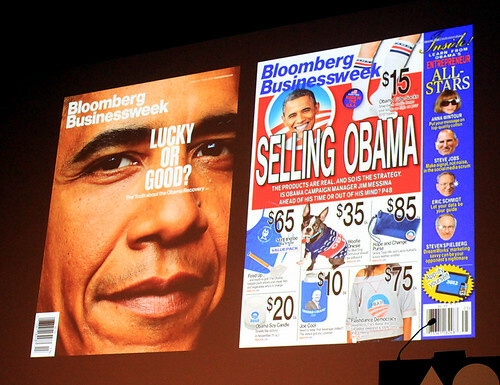 Jeremy Leslie’s slide with examples of Bloomsberg Businessweek covers (see ‘Taking care of business’ in Eye 80). Jeremy Leslie talks about My Favo(u)rite Magazine (see ‘A mag for Bob’ on the Eye blog). 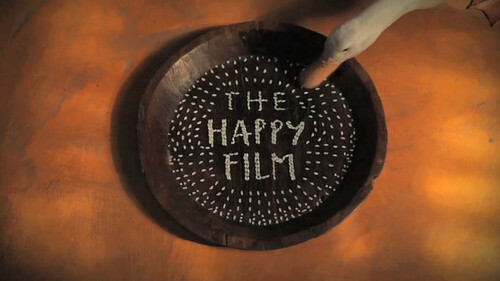 Stefan Sagmeister brought the conference to a rousing end with his life-affirming ‘Happy show’. He showed delicious extracts from the long-awaited Happy Film he has being producing (originally with the late Hillman Curtis) over the past four years, now in the editing phase. 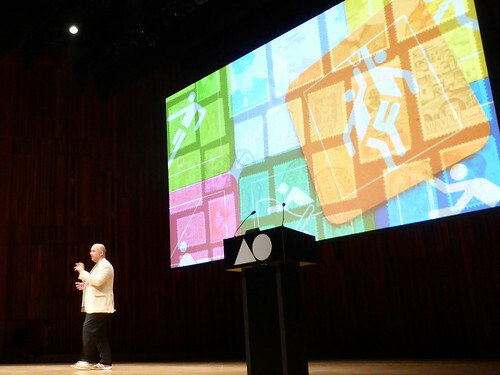 Animated slogans such as ‘Worrying never solved anything’, ‘If you don’t ask you don’t get’, and ‘Uselessness is gorgeous’, interspersed with research and infographics, helped us understand what makes us happy, and provided an uplifting finale to the conference. 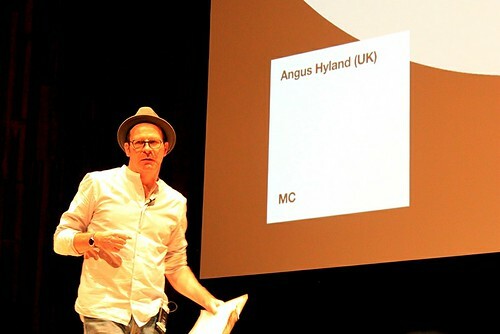 Next stop: AGI Open in São Paulo, 2014. Printer’s fist by Rico Lins.